If you're searching for a new Mazda or used car near New Milford CT, Ridgefield, Newtown, Bethel, Brewster NY, then you've come to the right place. We have a wide selection of vehicles to choose from and a team of specialists who are here to assist you throughout your whole car buying experience. Our commitment to our customers doesn't end after you purchase or lease a Mazda. We have a team of dedicated experts will also provide professional Mazda service, repair or help with your auto parts needs. Stop by today and discover what makes us stand out from other dealers in the Danbury area. Here at Colonial Mazda, our salespeople are ready to answer any questions you may have about our new Mazda models in our showroom. If you don't know what you're looking for yet, please feel free to test drive some of your favorite models. From fuel-efficient sedans to spacious SUVs, we have something to please all of our customers. At Colonial Mazda, you'll find all the popular Mazda models including the Mazda3, Mazda CX-3, Mazda6, Mazda CX-5, Mazda CX-9 and more. Aside from our new cars, we have a diverse inventory of used cars and pre-owned Mazda models that look and drive like new! For additional peace of mind, all of our used vehicles have been thoroughly inspected ensuring reliability and value for years to come. We also have a large selection of Certified Pre-Owned Mazda vehicles that come with added benefits including a Vehicle History Report and 24-hour Roadside Assistance. If you're interested in learning more about our Certified Pre-Owned program, please feel free to contact a member of our sales team. As we said before, we're here for you after your vehicle purchase with a service department and parts center. Routine maintenance helps keep your car running at its best. So whether you need a quick oil change or power steering maintenance, our certified technicians know your vehicle from the inside out. For more time consuming repairs, Colonial Mazda offers pickup and drop off services. For added convenience, free to schedule your service appointment online. 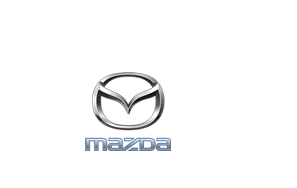 If you would like to take on the job yourself with quality OEM parts, then submit your request for Mazda parts by completing our convenient online form. If you need help finding a specific part for your Mazda, our specialists are standing by to point you in the right direction. You can reach out parts center by calling (888) 378-6618. Stressed about Financing? There's no Reason to be! Financing your new or used vehicle is an easy process when you shop with the professionals at Colonial Mazda. Our experts are here to help you create a customized auto loan that is catered to your current financial situation. We'll gladly go over all of the details and terms with you as well as answer any questions that you may have along the way. If you would like to get a jump start on the financing process, you can begin by filling out our online application. Then, one of our finance team members will be in touch with you shortly after. visit our showroom located at 100 C Federal Road in Danbury, CT 06810. We're just a short drive for our customers traveling from New Milford CT, Ridgefield, Bethel, Newtown, and Brewster NY and we look forward to meeting you soon!